Ian 5-pc. 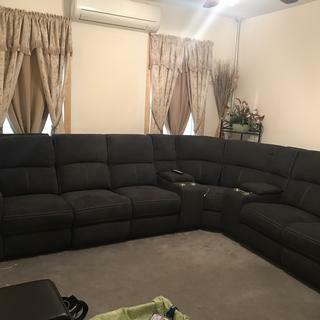 Sectional Sofa w/ 2 Power Recliners If you’re on the cutting edge of everything from technology to design, then you’ll love the Ian 5-piece sectional sofa. 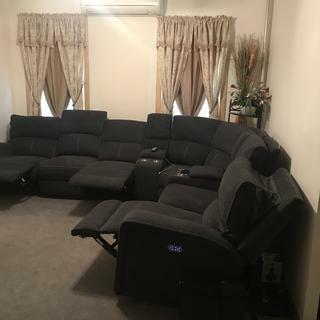 Chock full of power features such as power headrests, power reclining, USB ports and power lumbar, Ian has everything you need for ultimate, customized relaxation. With contrast topstitching, sloped track arms and the beautiful, on-trend charcoal upholstery, this sectional really has it all. After so long, sofa we were looking for we end up find at Raymour & Fanigan. 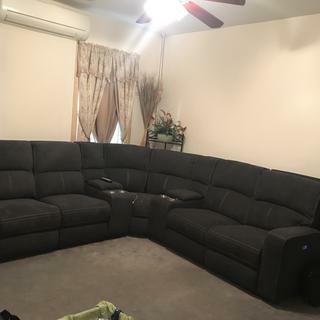 This sofa give us comfort and looks really good in our living room. Yes, we will recommend any one - go get from Raymour & Fanigan. Hi Manoj, thank you for sharing the photos of your room. 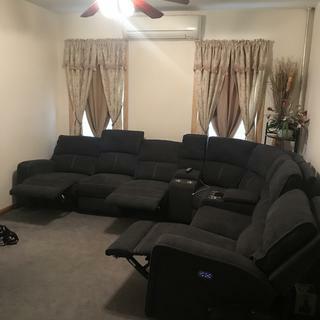 We are so happy to hear about your experience and that you are enjoying your new sectional. It looks great.